what are gyroscopic systems and instruments and how do they work? Traditional aircraft instruments include pitot instruments and gyroscopic instruments. These two designations simply categorize the instruments based on the system in which they receive the information. Gyroscopic instruments include the attitude indicator (AI), heading indicator (HI), and the turn coordinator (TC)— also known as the turn and bank (TB) indicator. Having knowledge of the instrument power system, gyroscopic principles, and individual operating principles of each instrument will help you understand how gyroscopic instruments operate. Anything that spins exhibits gyroscopic principles. However, it is specifically titled a gyroscope if a wheel or rotor are mounted to utilize these properties. Gyros may be mounted freely, which allows them to rotate in any direction about its center of gravity. Restricted or semi-rigidly mounted gyros have one plane of freedom that is held fixed in relation to the base. Gyroscopes have high density and high speed with low friction bearings. Rigidity in space and precession are the two main properties of gyroscopic action. Rigidity in space is the ability of a gyroscope to remain in a fixed position in the plane that it is spinning. Precession is the tilting or turning of a gyro as a result of a deflective force. Gyroscopes may be vacuum, pressure, or electrically powered. Usually, there are at least two sources of power used in order to ensure that one is available if the other fails during flight. Electrically driven gyroscopic instruments incorporate the rotor as the armature of an electric motor. Vacuum and pressure systems spin the rotor at high speeds by drawing a stream of air from the cabin and accelerate and directing it against the rotor vanes. There are separate instruments in the cockpit that display information about the vacuum pressure. If it drops below normal operating range, it indicates that the gyroscopic instruments may be unstable and inaccurate. At ASAP Components, owned and operated by ASAP Semiconductor, we can help you find all the aircraft instruments you need, new or obsolete. For a quick and competitive quote, email us at sales@asap-components.com or call us at 1-919-348-4040. It’s pretty easy to understand speed in a ground vehicle: it’s read right off of the speedometer and all the driver is required to do is follow the speed limit. However, this isn’t the case with aircraft— aerodynamics makes it a little more complicated. There are different types of airspeed and they are indicated airspeed (IAS), true airspeed (TAS), groundspeed (GS), calibrated airspeed (CAS), and equivalent airspeed (EAS). There is a measurement device on the outside of an aircraft, called a pitot tube, that measures fluid flow velocity. This information is displayed on the IAS. A pilot can read the IAS right off of the airspeed indicator on the instrument panel in the cockpit. The TAS is the speed of an aircraft relative to the air through which it is moving. Both altitude and temperature affect the TAS. Air density decreases with an increase in altitude because there is less air from above and pushing it down, and gravity is weaker. Air density also decreases as temperature increases, and vice versa. Because the molecules are further apart as a result of lower air density, the pitot tube receives less air molecules and has an inaccurate read; it will display a lower airspeed. TAS is generally 2% higher than IAS with every 1,000 ft gained in elevation. Pilot operating handbooks contain information on an individual aircraft’s true airspeed and fuel consumption at various altitudes, power settings, and temperatures. 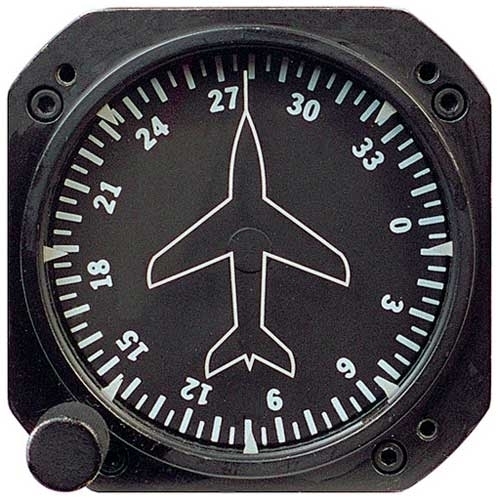 Some aircraft have an airspeed indicator equipped with a true airspeed ring. The pilot will input altitude and temperature information and will then be able to read the true airspeed on the indicator. GS is the movement of an aircraft relative to the ground. This information is obtained by adding the tailwind from the TAS or subtracting the headwind from the TAS. Unlike the IAS or TAS, the GS does not determine when the aircraft will stall and does not influence aircraft performance. The wind speed may be obtained using navigation landmarks, radio-aided position location, inertial navigation system, or GPS. Ground speed radar can also be used to measure it directly. CAS is the IAS corrected for instrumental and positional errors. At various airspeeds and different flap settings, the instruments may display an incorrect airspeed. This is more common at low airspeeds and high pitch attitudes. The CAS and TAS are the same at sea level when under International Standard Atmosphere (ISA) conditions; and if there is no wind, it is the same as the GS. The EAS is the same as the TAS at sea level under ISA standards. The difference between the CAS and EAS is negligible at lower altitudes. At higher altitudes and speeds, the CAS needs to be corrected for the compressibility of air. At ASAP Components, owned and operated by ASAP Semiconductor, we can help you find all the cockpit parts you need, new or obsolete. For a quick and competitive quote, email us at sales@asap-components.com or call us at 1-919-348-4040. We often take it for granted, but airplanes are truly one of the most impressive advancements in engineering history. From the Wright Brothers’ first plane made primarily of spruce wood to Airbus’s massive double-deck A380, airplanes have changed quite a bit — especially when you compare the simple design of the Wright Flyer to the double-deck, wide-body, four-engine design of the A380, a plane so massive that it took 1,500 companies from 30 countries to manufacture it’s 4 million individual parts. And yet, despite the obvious difference between the Wright Flyer and the A380, some things haven’t really changed: the basic shape of an airplane. Whether you’re flying in a massive Airbus A380, a regular Boeing 737, or an antique WWII fighter plane, there’s the same basic five sections: the fuselage, wings, engines, cockpit, and landing gear. The fuselage is the main body of the plane that connects almost all of the other sections into a balanced symmetrical unit. This is where the passengers sit, and the cargo is held. The wings protrude from both sides of the fuselage. They work with the stabilizers and integral flight-control surfaces like the flaps, ailerons, rudder, slats, and spoilers to form and change the airfoil such that the pilot can fly the airplane. The engines are mounted either to the wings or to the rear sides of the fuselage. They propel airplanes to gather speed to take off, gain altitude, and maintain altitude and velocity while cruising. At the front is the cockpit, where the pilots sit and fly the airplane. Modern cockpits include many different flight instruments that provide navigational, operational, safety, and communications information to the crew in real time. And at the bottom of the fuselage, is the retractable landing gear. The landing gear has a front gear strut with two side-by-side wheels and two to four bogeys with two to six wheels each; each wheel has hydraulic disc brakes. ASAP Components, owned and operated by ASAP Semiconductor, is a premier distributor of aircraft parts, NSNs, and board level components. We offer high-quality parts with the shortest lead times and the fastest shipping times in the industry. If you’re interested in a quote or more information about aircraft parts, visit us at www.asap-components.com, or call us at +1-919-348-4040. Flying and being thousands of feet in the air can be a thrilling experience. Well, maybe. For a lot of people, the excitement wears out really quick. Especially if you’re on an airplane with no broadband service. At that point, what do you do? Generally, you either sleep or try to look out the window. But, usually, the view isn’t great, and it’s obstructed because instead of square like your car, it’s round. Have you ever wondered why? In 1949, de Havilland Comet, the world’s first commercial jetliner, flew its first flight. The idea was to revolutionize air travel with high speeds and less travel time. But, two fatal disasters in 1954 revealed major design flaws, namely the plane’s ability to withstand stress. As a jetliner, the Comet flew at high altitudes to reduce flying costs. Higher altitudes mean lower air density and lower drag, which in turn means reduced load on the engines. But, because higher altitude also means lower air pressure, there’s a point where the cabin pressure is greater than the outside pressure of the plane. This means that the fuselage parts, or body of the plane, will expand slightly, and human passengers will feel the pressure difference. To combat that, the cabins are pressurized for normal human body functioning, and the cabin is made cylindrical so that changes in pressure are reduced and the stresses are dispersed equally. However, as the Comet showed in the 50’s, square windows don’t allow for that. Square windows cause stresses to form at the edges. Instead of dispersing equally around the cabin, they concentrate at the window. And if left unchecked, these stresses can cause cracks and break the airplane open. On the other hand, round windows don’t restrict stress flow, and stress lines flow smoothly around it. Which is why, ever since the discovery in the 1950’s, aircraft manufacturers have used rounded window designs. The next time you look out of an airplane window, you can rest assured that your flight will be swift and safe. At ASAP Components, owned and operated by ASAP Semiconductor, we want to make sure that you fly safe and sound. As a premier distributor of aviation and aircraft parts and components, we make sure that we only offer the highest quality parts. For a quick quote or to learn more, visit us at www.asap-components.com or call us at +1-919-348-4040. If anyone has ever seen the inside a cockpit of an aircraft, it may seem overwhelming to most. Some may even see it as complicated and even hard to use. Just like a car, an aircraft has instruments, but just different types to help guide the plane. In a car, one might see the speedometer, to see how fast the vehicle is traveling. In addition, there is the fuel indicator, to see how much gas the car has left before stopping at a gas station. Also, there is the odometer, to see how far the car has driven-the odometer also helps with scheduling routine maintenance services. Since an aircraft has a much more difficult task than a car or motorcycle-flying an aerial vehicle requires different instruments. There are 6 basic instruments that are integral to help fly and guide the aircraft. The first one is attitude indicator, which basically shows the aircraft’s balance in relation to the horizon. If the line in the attitude indicator is not balanced, that may imply the aircraft is leaning left, right, etc, and the pilot may need to make a correction. The next is the airspeed indicator to help show how fast the aircraft is traveling, this may be used to see how long it would take to get from point A to point B. After that is the altimeter, to see how high the aircraft is above median sea level (MSL). The 4th instrument is the turn coordinator to help determine the quality of the bank. 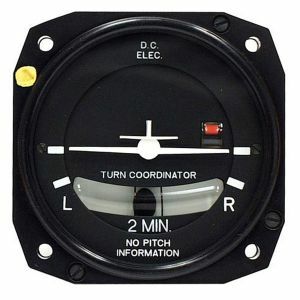 The 5th instrument is the heading indicator, which is similar to a compass, to help see which direction the plane is going. 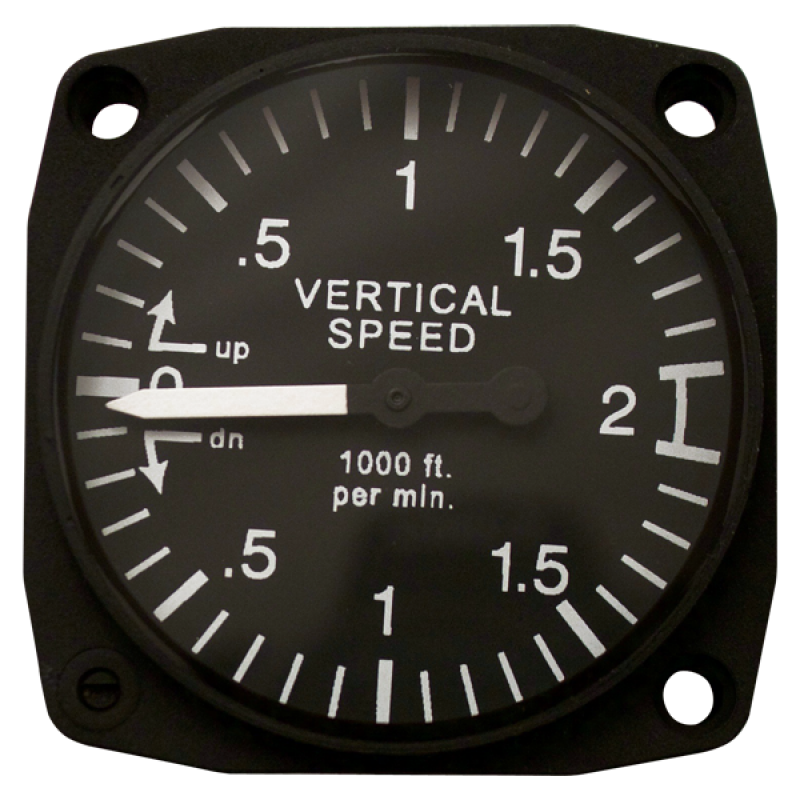 Lastly, there is the vertical speed indicator, this instrument indicates how fast the aircraft is going up or down. ASAP Components, owned and operated by ASAP Semiconductor, should always be your first and only stop for aircraft instrument parts and airspeed indicator parts. ASAP Components is also the premier supplier of instrument parts for aircrafts and airspeed indicator parts, whether new, old or hard to find, they can help you locate it. ASAP Components has a wide selection of parts to choose from and is fully equipped with a friendly staff, so you can always find what you’re looking for, at all hours of the day. If you’re interested in obtaining a quote, contact the sales department at www.asap-components.com or call +1-919-348-4040. Gulfstream’s G500 and G600 business jets set groundbreaking worldwide records when they flew from Shanghai to Honolulu, and then once more from Honolulu to Savannah, Georgia, where Gulfstream is headquartered. The G500 set eight city-pair records in its class on its own, earlier this year; although the records have already been set, they have yet to be verified by the National Aeronautic Association. Gulfstream’s G500 can carry 19 passengers, sleep eight, and completed its journey from Shanghai to Honolulu in 8 hours and 34 minutes, travelling on average at Mach 0.90; in its second trip, it completed the flight in 7 hours and 44 minutes. In contrast, the G600 can carry up to 19 passengers, sleep nine, and is powered by Pratt & Whitney’s Canada PW815GA engine. The G600 has an advanced wing design that is as much as 23% more efficient than competing aircrafts in its class. The G600 completed the Shanghai-to-Honolulu trip only one minute slower than the G500, travelling at the same Mach 0.90 speed. After recent test flights exceeded the company’s expectations, Gulfstream extended the G500 and G600 flight ranges. The G500 has a range of 5,200-nautical miles at Mach 0.85 and 4,400-nautical miles at Mach 0.90. The G600 now has a 6,500-nautical mile range at Mach 0.85 and a 5,100-nautical mile range at Mach 0.90. Gulfstream’s President Mark Burns stated that their customers are accustomed to “flying practically anywhere in the world at record speeds” and that the G500 and G600 are on par with their highest performing aircraft, the G650ER. Honeywell’s 20th annual Turbine powered, Civilian helicopter purchase outlook at this year’s ABACE convention brought positive numbers to the Honeywell team. During this year’s convention Honeywell held booth number (H1115) and produced significant number of surveys that benefited their company greatly. The surveys displayed the increase of an order demands for customers of the Asian- Pacific as whole by an incredible 18% within the next 5 years. Honeywell experienced an increase a whole 1% from the received numbers from 2017s Outlook simulation. According to the surveys they demonstrated that one in five rotorcraft operators in China have plans to purchase a helicopter aircraft within a five-year span. Honey well witnessed increasing numbers since their 2016 Outlook with a 21% growth in representatives taking the survey. These reps agreed to add to their fleet or replace aircrafts by the final quarter of the year 2022.
survey of more than 1,000 chief pilots and flight department managers of companies operating 3,489 turbines and 334 piston helicopters worldwide. survey excluded large fleet or "mega" operators, which were addressed separately. Input received from large oil and gas support and emergency medical service fleet operators. Detailed the types of aircraft operated and assessed specific plans to replace aircraft or add new helicopters to the fleet. ASAP Components is a prime provider of Honeywell aviation parts, Honeywell turbine parts, twin-engine helicopter parts along with an extensive variety of top OEMs in the industry. Specializing in providing hard to find and obsolete parts on the market to be able to be your one stop supplier. Our website offers a direct portal to our sales representatives to be able to quote you immediately or give us a call at +1-919-348-4040 or email us at sales@asap-components.com. Airbus Helicopters and Schiebel Camcopter have teamed up to create a newer way of connecting both unmanned and manned networks to work alongside one another. According to both companies they are the first to develop what is known as the Manned Unmanned Teaming (MUM-T) that enables its versatility to be at a “Level Five.” The project was sponsored by innovative companies such as Austrian Armaments and Defense Technology Agency. The aircrafts that have been chosen to participate in such demonstrations are Airbus Helicopters H145 which was operated by a pilot and Schiebel Camcopter S-100 unmanned air system (UAS). The goal of this operation was to display the transfer of wireless connectivity from the piloted aircraft to the unmanned device. and was able to maneuver the device to reenact the detection of items hidden in places not accessible by traditional helicopters. Program manager at Airbus Helicopter, Mark Henning, would like to attest that their project is allowing them to venture into a new type of helicopter excursions never before possible. ASAP Components is a top provider of airbus helicopters, and aircraft rotary wing parts and spares. Providing Service to some of the most well-known Airlines and Maintance shops across the globe. All of ASAP parts have been tested and placed under warranty to ensure that our parts are up to par and correct with every order. Our Quality team takes pride in stopping counterfeit and broken parts to circulate in the market. For an instant RFQ please call +1 919 348 4040 or email sales@asap-components.com.